How to Add a Sidebar to a Page or Blog Post Novice Novice tutorials require no prior knowledge of any specific web programming language. 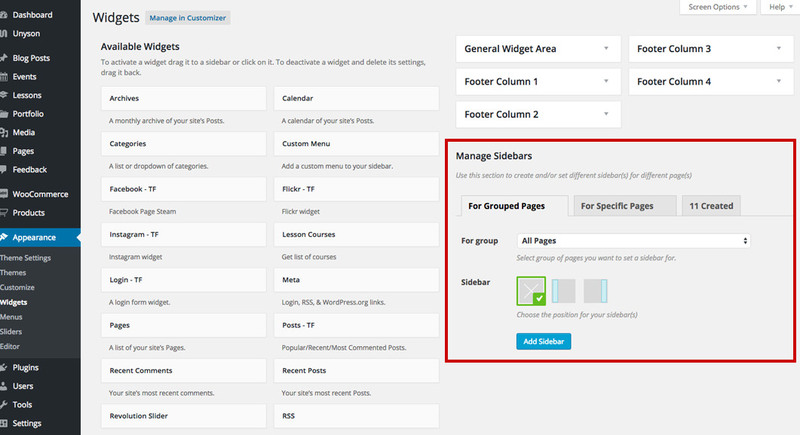 Go to Appearance > Widgets and find the sidebar manager on the lower right hand side of the page. 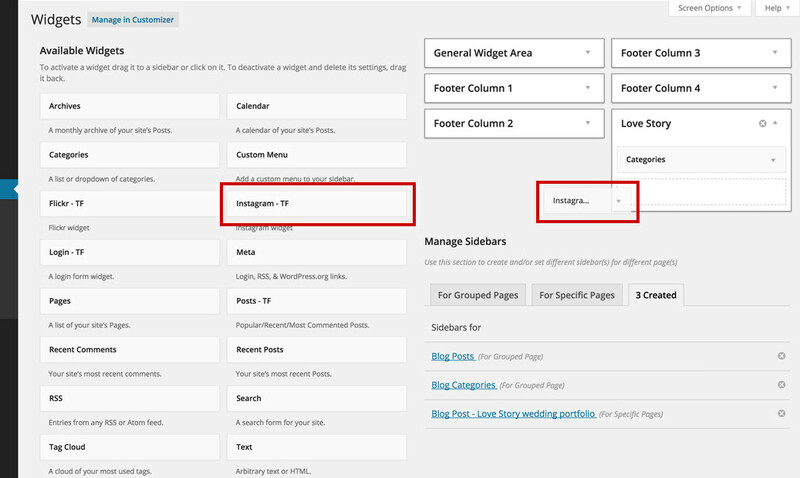 Lets add a new sidebar to a specific blog post. In order to do that, select the For Specific Pages tab. 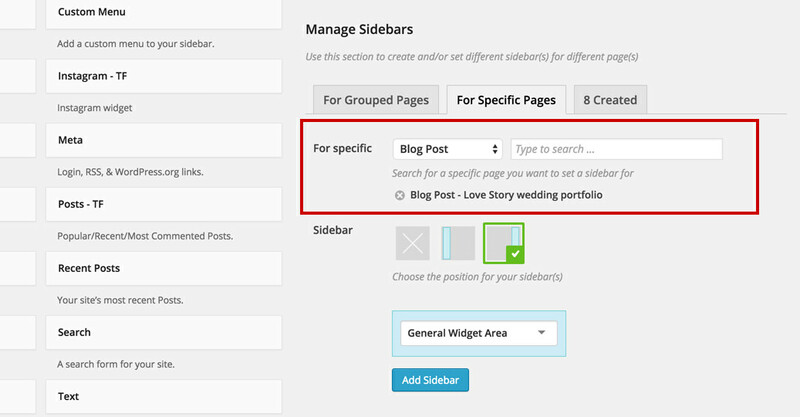 Select Blog Post from the list and type to search the blog post you want to set a new sidebar for. You can add multiple posts if you want. Select the position of your sidebar. Create a new sidebar (or select an existing one from the list). 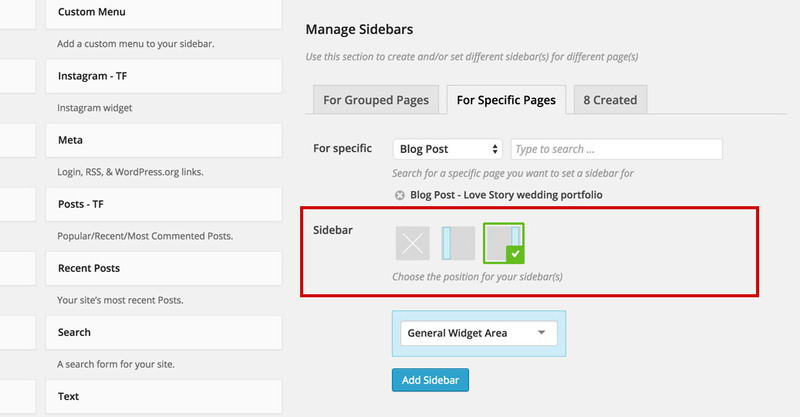 Press the Add Sidebar button in order to create your new sidebar. Done. No need to save, this page automatically saves it self as you go along. 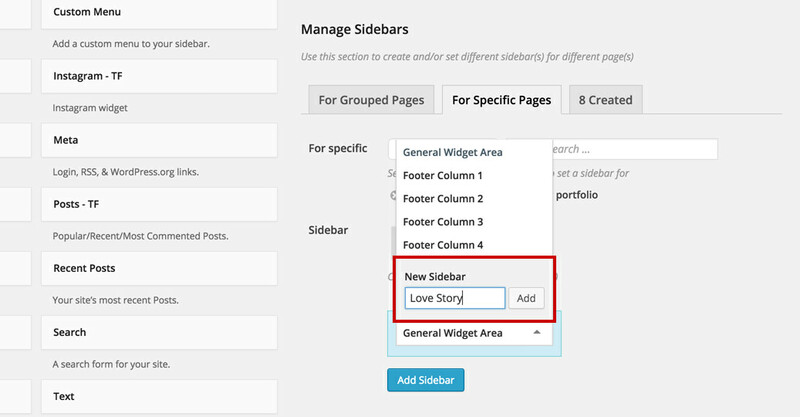 You can't add sidebars to pages created with the visual builder using the Sidebar Manager. 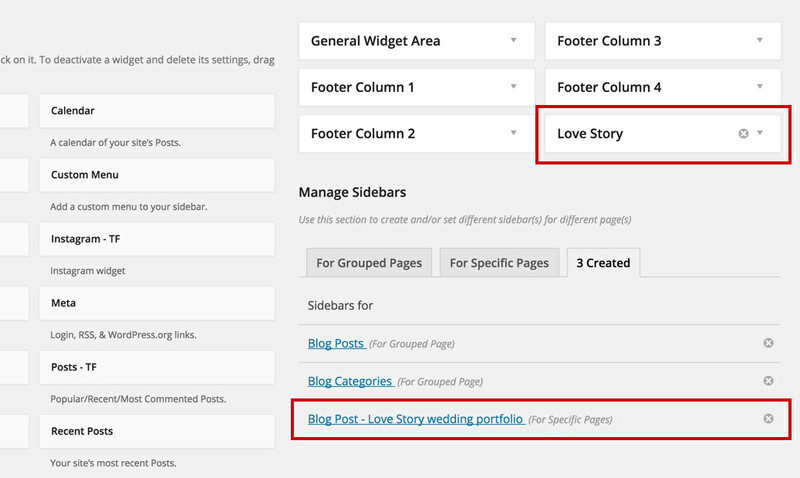 In order to add a sidebar to a page created with the visual builder use the Widget Area shortcode.